Billionaire Chris Kirubi is currently single after divorcing his wife years ago. But the Capital FM chairman has a beautiful daughter. Mary-Anne Wambui is the biological daughter of Chris Kirubi and she is an entrepreneur like her father. Though she leads a quiet life, her grasp of financial aspects of the economic segments is what makes everyone believe she is the real daughter of the businessman. Mary Ann-Musangi is the board member of Sidian Bank, formally K-Rep Bank. 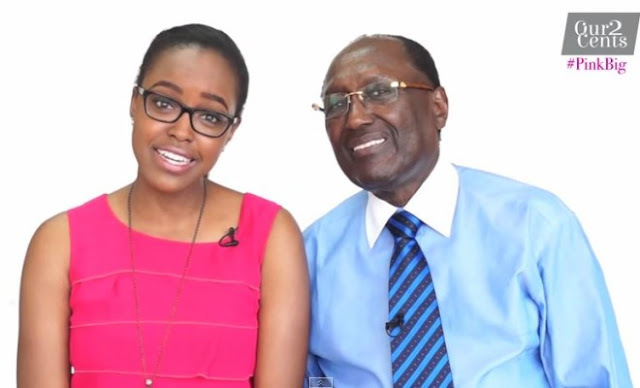 Kirubi divorced his wife over 18 years ago and decided to live a quiet life. He is the third richest person in Kenya and one of the most influential businessmen in Africa..
Chris kirubi is currently receiving treatment in USA after returning to the country last year sick. He is currently in hospital in USA and he is receiving treatment well. Kirubi is one of the most celebrated and respected business men in Kenya and Africa at large.